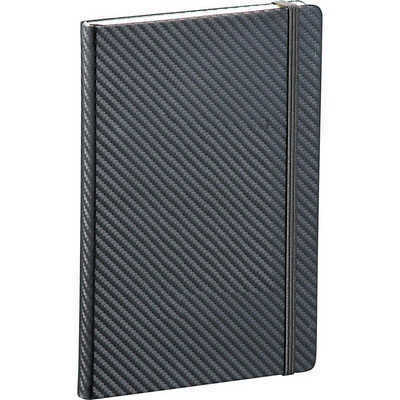 Description: Automotive inspired carbon fibre Ultrahyde cover. Built-in elastic closure. Ribbon page marker. Expandable accordion pocket. Includes 80 sheets of lined paper. Features: Packaging: Polybag Colour: Black Material: UltraHyde Product Size: 214mm(h) x 144mm(w) x 17.5mm(d) Freight details : 36 per carton, 12kgs, 33.5 x 24 x 36cms; Decoration Type(s): Colour Print / Deboss / Debossed Foil / Foil Stamp / Full Colour Print Decoration Area: Emboss/Screen/Pad: 75mm(w) x 125mm(h). Price includes : 1 Colour 1 Position Print. Setup is included.